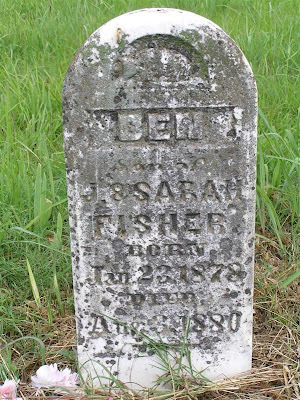 This little soul, buried in the Fisher Cemetery, Wagoner County, Oklahoma, was the child of Johnson and Sarah (Woodward) Fisher, citizens of the Cherokee Nation. Ben was found on the 1880 Cherokee Nation census with his family. Even years after his death, he was fondly remembered by his mother as "my little Bennie". 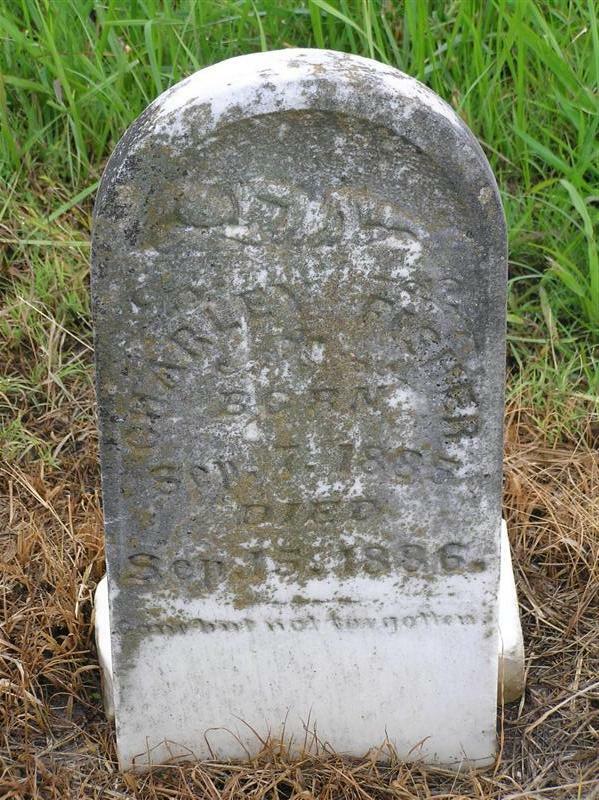 Johnson and Sarah were my third great grandparents. 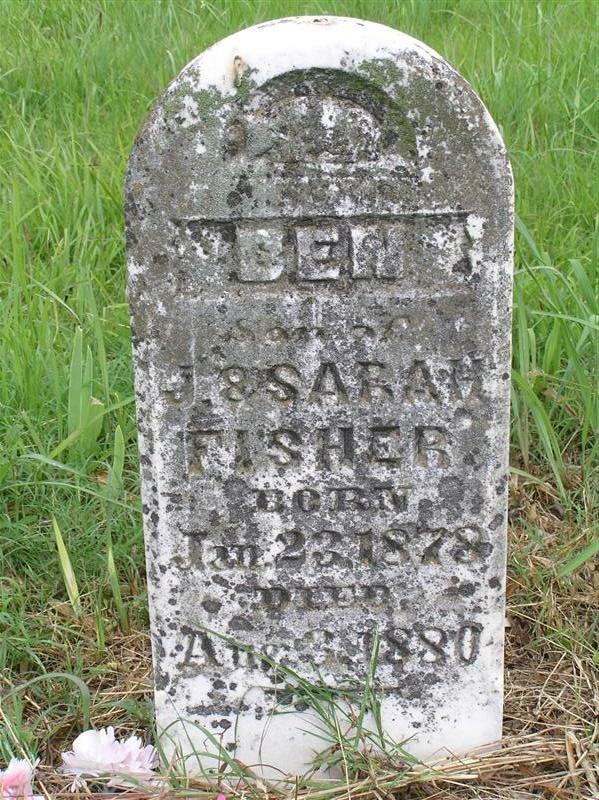 He was the son of Fisher Hatchet (or Chopper) and she was the daughter of Redbird Woodward and Peggie Dennis.